This leash promotes safe transport, is stronger, wider, and thicker than most of our competitors, yet is still very economical. Flat 1/2" x 50" polypropylene, "nylon" with a nickel plated "D" ring. 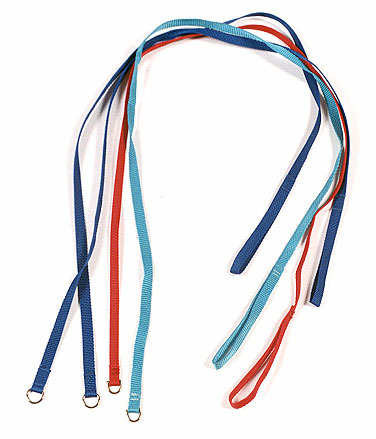 This leash promotes safe transport, is stronger, wider, and thicker than most of our competitors, yet is still very economical.